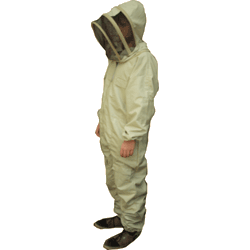 British National Bee Hive with Standard Deep Brood Box and 2 Standard Shallow Boxes, assembled. 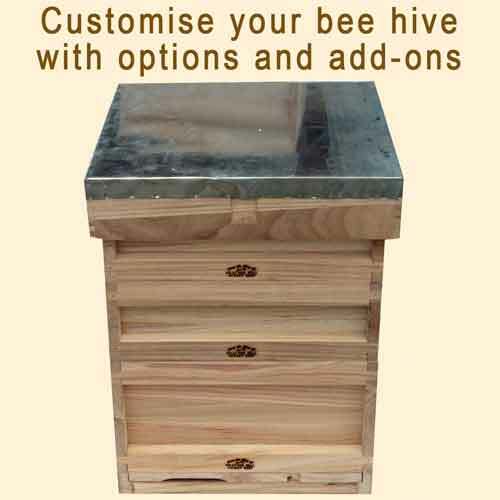 Choose from the options to customise your bee hive. 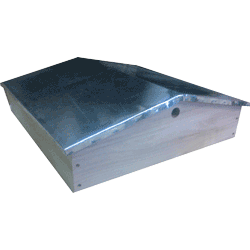 Roof, vented and metal clad - choice of 4 inch, 6 inch, 8 inch or Gabled Roof. Crownboard with feeding and clearing holes. 2 Standard Shallow Super Boxes. 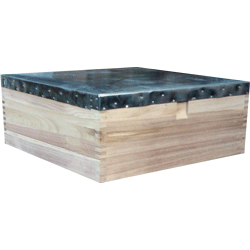 Standard Deep Brood Box or Extra Deep (14x12 Jumbo) Brood Box. 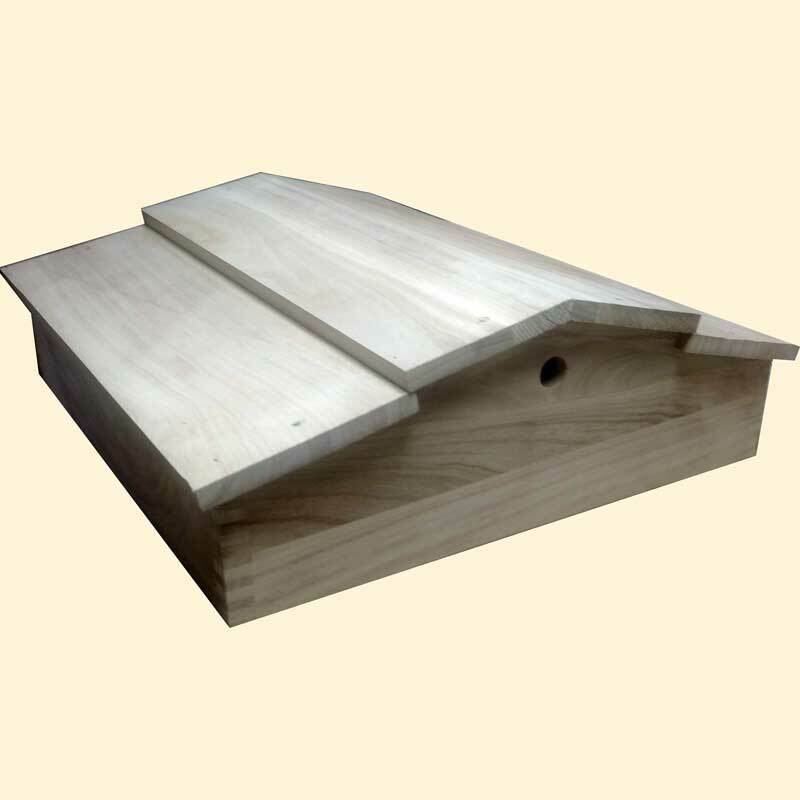 Choice of roof - 4 inch, 6 inch, 8 inch, Gabled or Classic Timber Clad. 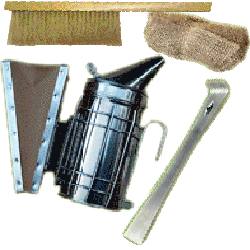 Choice of feeder can be added - 4 pint rapid feeder with Extra Shallow Box to house it or Ashforth Top Feeder. 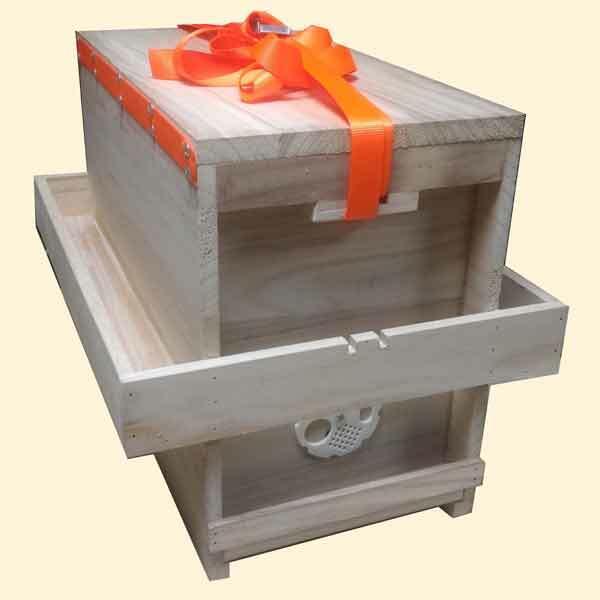 The Standard Deep brood box can be upgraded to an Extra Deep 14x12 brood box if required. 2 Shallow and 1 Deep Dummy Boards. 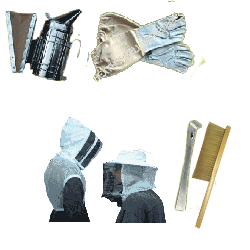 A Queen Excluder can be added. 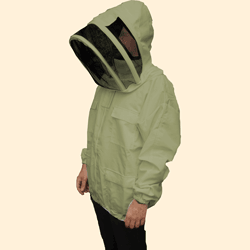 A Hive Stand can be added.